After attending a recent concert of international singers at my daughter’s school, I am convinced that music can heal the world. You can’t help but feel touched when voices rise up like that. Just try to listen to soul, for instance, and try not to be moved by it. Music can also help us with hard times. We have all had the experience of waiting for someone we love; whether it’s because they are overseas in the military, on travel or simply live far away. Busby Marou sings of it in his song, “Biding My Time”. It’s lovely and reminds me of the songs by Jack Johnson. I heard God tonight. No, it was not the booming-voice-from-above kind of sound. It came from a flute and three string instruments played by a quartet that breathes the divine power of Mozart. Believe me when I say: music can heal. 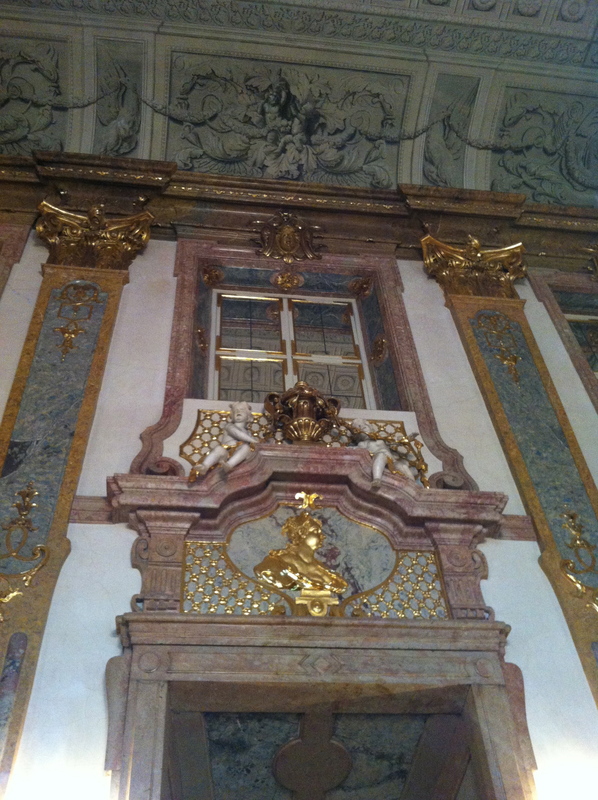 I left the Salzburg concert hall, in all its golden, guilded beauty, with soaring spirits. Salve for the soul, indeed. How could you not smile to the beat of The Magic Flute? I found myself grinning stupidly throughout the entire two hour program. We gave them a standing ovation; they gave us an encore. It was magic. In a flute and a few strings too. Thanks, Wolfy. I owe you one!